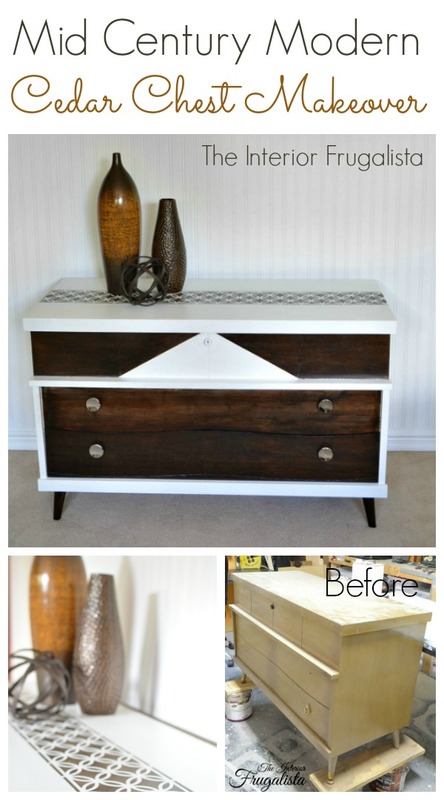 Remember this Mid Century Modern Cedar Chest Makeover from last week? 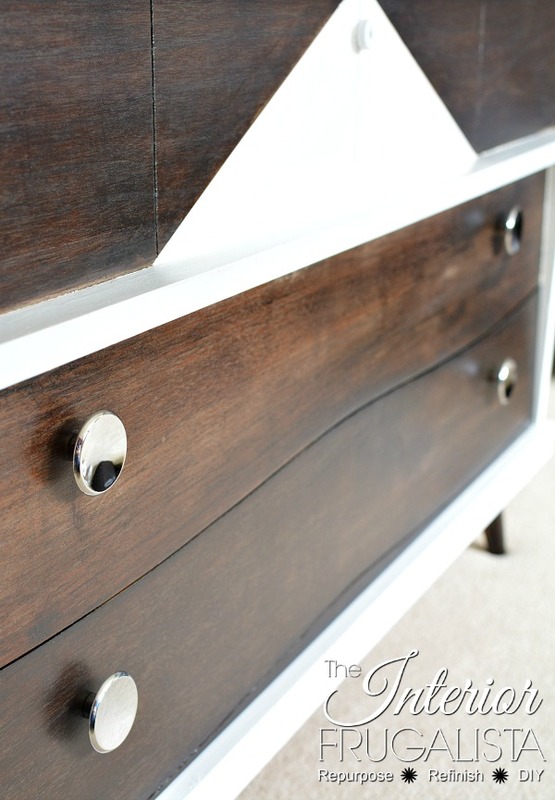 I had nothing but struggles with the stain on the drawer fronts and had to walk away from this project for a few days to clear my head. I'm so glad I did because after stripping the paint and stain back to the raw wood and starting from scratch, I was able to get a much nicer finish. You can see the difference between the picture above and the picture below. The photo below is my feeble attempt at fixing the hemp oil debacle. It's not terrible but definitely not the quality of finish I would be happy putting my name onto. ...and here it is after I stripped it back down to the raw wood and restained it. Quite the difference between an attempt to fix the problem and starting from the beginning again and doing it right. 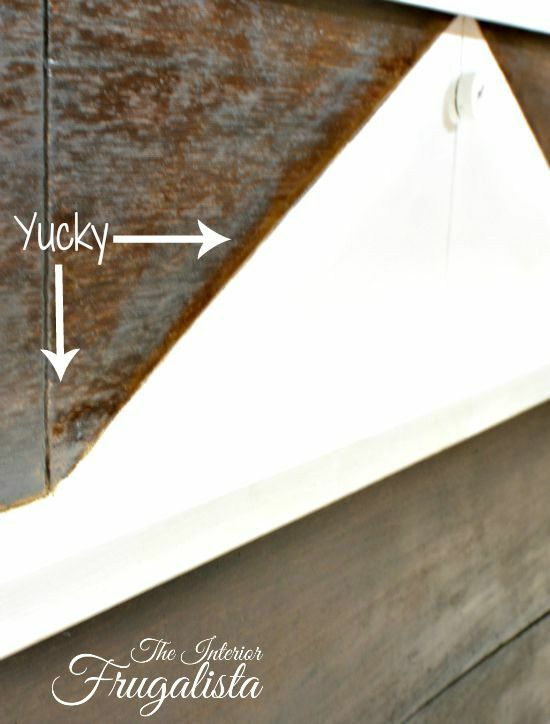 Here is a close-up of the chalk painted triangle where the hemp oil caused the stain to bleed into the paint. 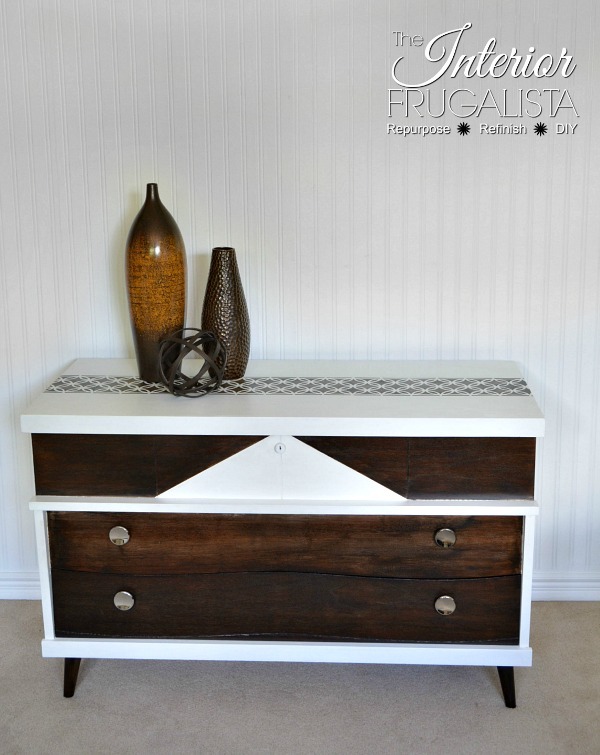 In case you missed my post last week, here is a link MCM Cedar Chest Makeover. 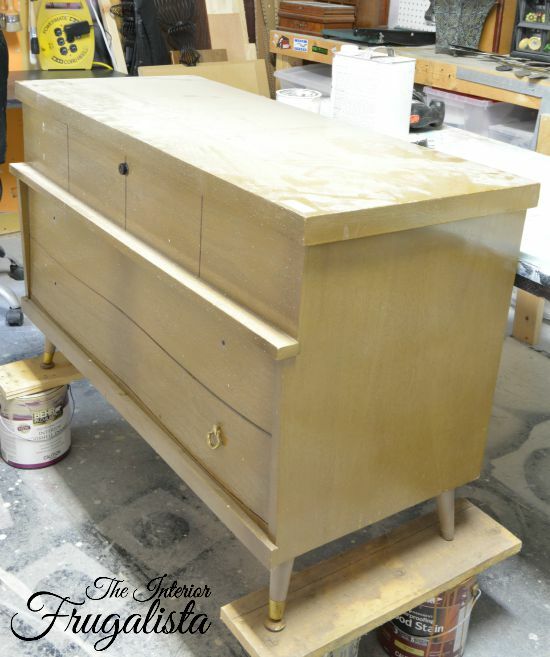 I should refresh your memory and show you what the Mid Century Modern Cedar Chest looked like before the makeover. After reading your comments in my last post I realized I might have scared you from ever giving Hemp Oil a try as a protective finish. Hemp Oil is an awesome product, especially on food safe surfaces like butcher block. 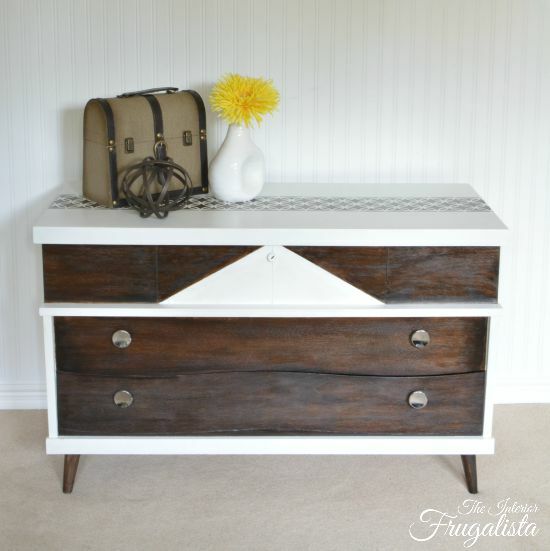 It worked beautifully over the chalk painted sections of this chest, like the stenciled top pictured below. It deepens the color while giving it a matte protective finish and a heck of a lot less work to apply than clear wax. Brush on with a chip brush and wipe away the excess oil with a clean lint free rag. 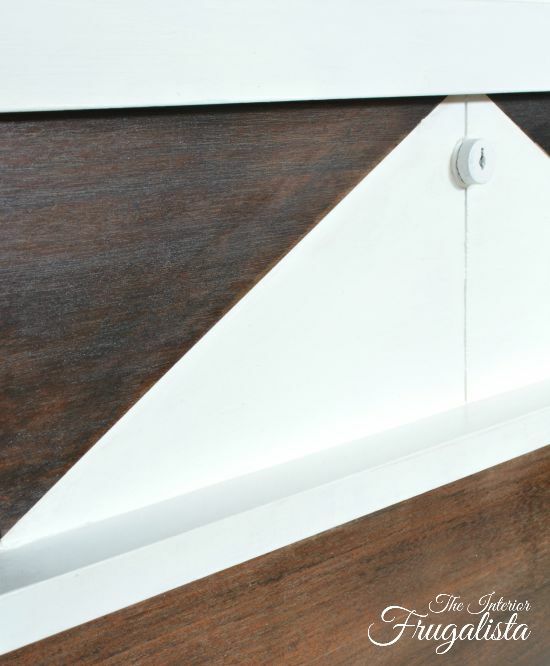 It also works fabulously on old wood and I was amazed at how it restored the wood on my Antique Radio Cabinet. 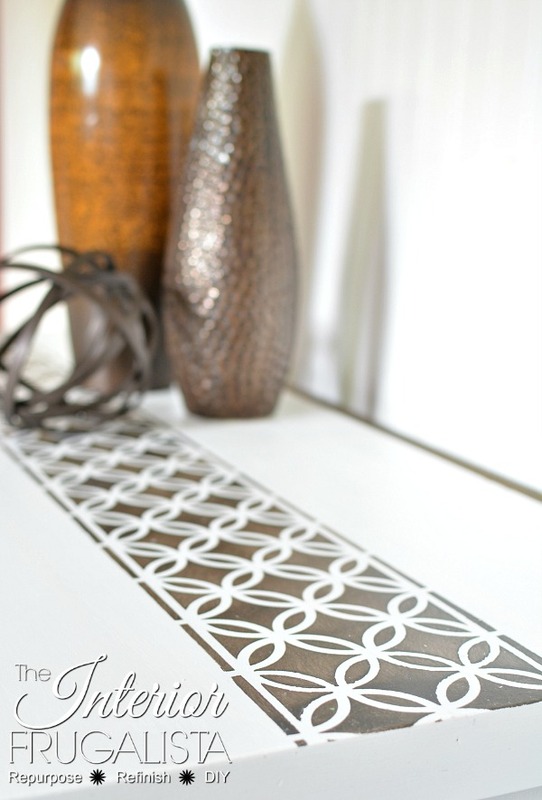 I also used it on the butcher block surfaces of a Small Kitchen Rolling Cart Makeover. Hemp oil absorbs into the surface and works well to protect the raw wood and porous paints like milk or chalk paint. If too much oil is applied, then small amounts of oil may rise to the surface the first few days after it's application. You simply wipe the excess with a clean lint free cloth. While the hemp oil on my piece worked beautifully over all the painted surfaces, the oil did rise over the oil-based stained surfaces. 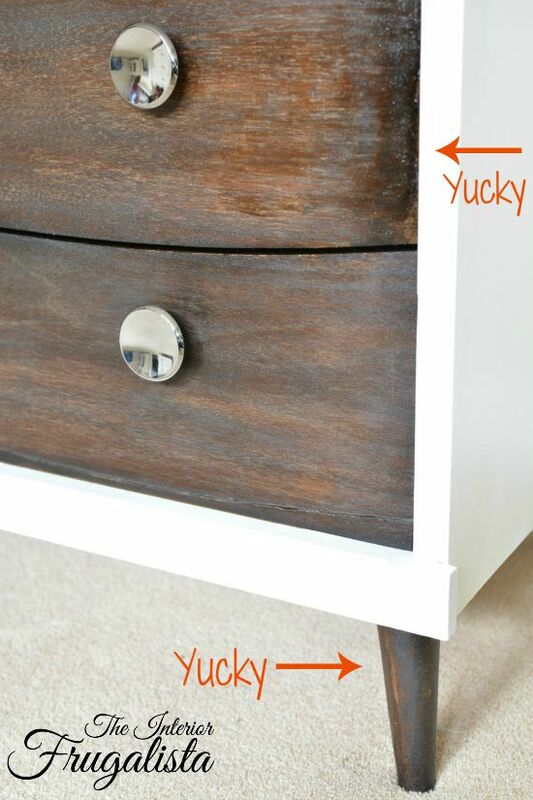 The dark stain was no match for the white paint that butts up against it, hence the oily mess dripping onto the white paint. What I should have done was a) given the oil based stain a longer drying time (perhaps 48-hours minimum) and b) used less hemp oil over the stain by applying it with a lint free rag rather than a brush. This would have prevented excess oil from rising back to the surface. So don't be shy about giving Hemp Oil a try. 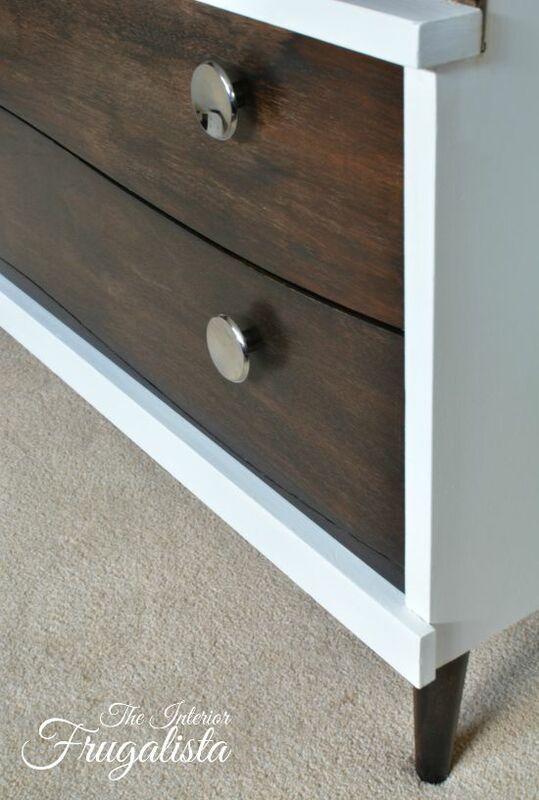 I think the simple round chrome knobs work well with this piece. The cedar interior was in perfect condition and just required vacuuming and wiped with mild soap and water. 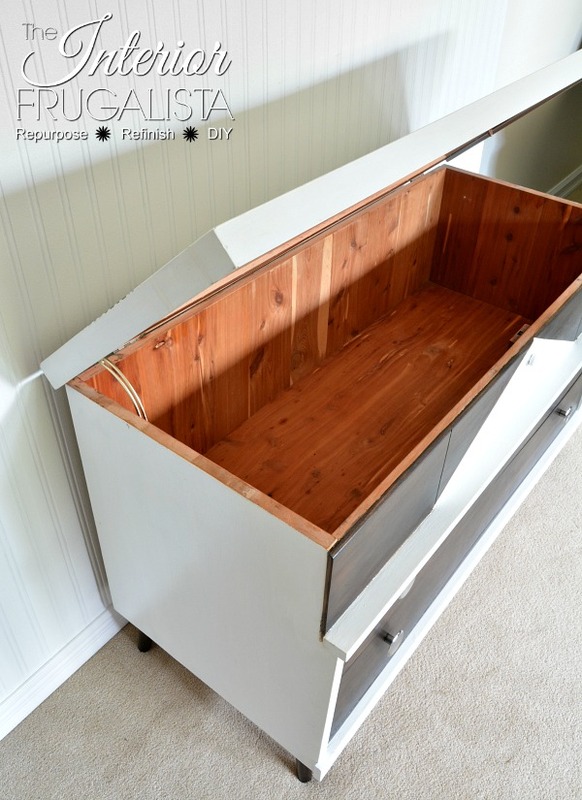 I'm happy to report that this Mid Century Modern Cedar Chest has sold. Even better, it sold before I had a chance to list it. Love when that happens.